Make your trip a little more comfortable. 1. It all starts with where you choose to sit. The best seats are those by the emergency exit or exit row. They provide the most legroom, allowing you to really stretch your legs. The worst seats are those at the very back, against the bathroom wall. 2. Meals may require additional charges. If you’re flying on a budget carrier, meals might not be included in your base fare. Make sure you don’t go hungry by pre-selecting your food during booking. 3. Pack moisturizer in your carry-on to keep your skin from acting out. While low cabin humidity levels can dry out your skin, it can also cause oily skin to become even oilier, leading to unexpected breakouts. Our tip: Drinks lots of water and apply moisturizer before and during your flight! 4. Noise-cancelling headphones are your best friend. Not all airlines come with a TV monitor, so make sure to prepare a decent playlist to make time fly (pun intended). Books or magazines are also interesting alternatives. 5. So are neck pillows. With only so much space, it’s hard to find the most comfortable position to sleep in. A neck pillow can spell the difference between a decent nap and a stiff neck. 6. Be nice to the gate agents and the flight attendants. Sometimes, being nice gets you upgraded. But more importantly, being nice makes the whole trip enjoyable for everybody. No one gets agitated or frustrated, and you might even make someone else’s day! 7. Bring a pack of gum with you (unless you’re going to Singapore). When you’re 30,000 feet up in the air, certain bodily functions take a step back to allow the body to prioritize others. The Daily Mail reports that your salivary glands are one of them. In-flight, you’re don’t produce as much saliva, leading to bad breath. Mints or gum can help. 8. A pack of sanitizing wipes isn’t a bad idea either. Airplanes are dirty and full of germs, reports Business Insider. Avoid getting a cold by wiping your tray table down before using it, as well as the toilet seat in the bathroom. 9. Make sure you smell good. Being on a plane for a few hours doesn't mean giving up your right to smell good! Strong scents aren't really recommended if you're flying (what if your seatmate's got a sensitive nose?) but you can pack a deodorant in your carry-on to ward off body odor. You can also spritz on a light body spray before disembarking so you'll smell good right off the plane. 10. Always wear comfortable clothes. Whether you'll be flying for three hours or 13, comfort should always be key. When choosing what to wear, don't just dress up for your destination. Think about the cramped seats and the varying temperatures inside the plane as well: you don't want to be shivering in a tank top and shorts mid-flight! But of course, being comfortable doesn’t mean you can’t play around with your outfits. 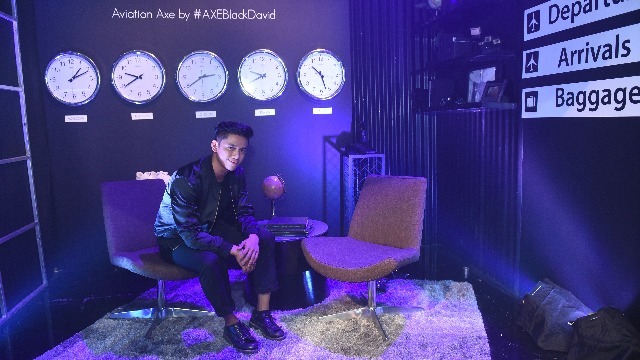 Take it from David: “I believe in comfort especially when it comes to traveling," he says. "What I don’t believe in is sacrificing style to achieve that." 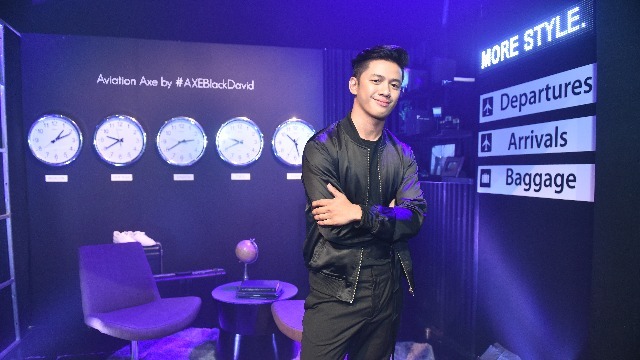 Find out exactly what he means when you drop by his aviation-themed Axe Black Pop-Up Concept Store, Aviation Axe, from October 7 to 9, 2 p.m. to 9 p.m. at the Lower Ground Floor of Bonifacio High Street Central, Bonifacio Global City. You'll immediately get first class VIP treatment upon “boarding,” and you'll be given boarding passes which you can use to claim freebies. Check out comfortable yet fashionable jackets, shirts, and shoes, which you can wear on your next flight. Can't drop by David's pop-up store? Head over to Lazada and browse through the curated travel-friendly pieces for sale there. Consider it your one-stop fashion hub for that year-end trip you've been anticipating!